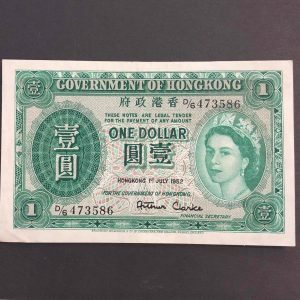 Scarcer issue note from 1936, in near uncirculated condition. Striking design featuring Javanese dancer on one side, and delicate patterns on the other. 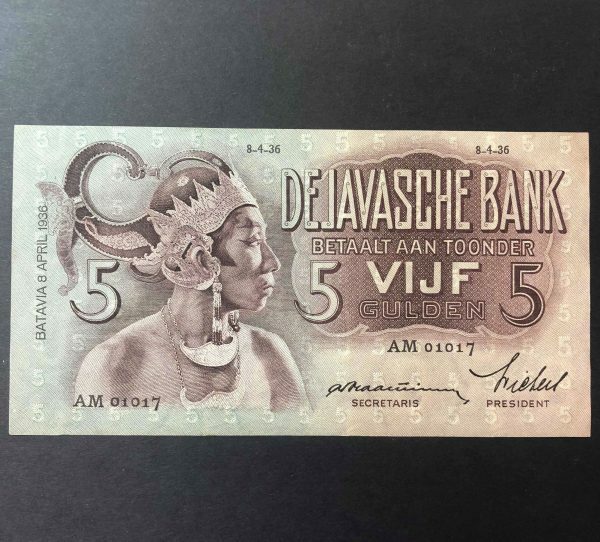 Scarcer issue 1936 banknote used in Netherland Indies, featuring the image of Javanese dancer. 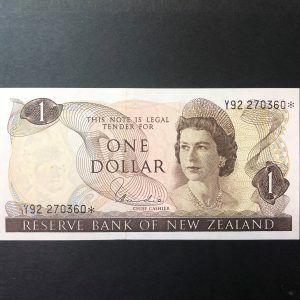 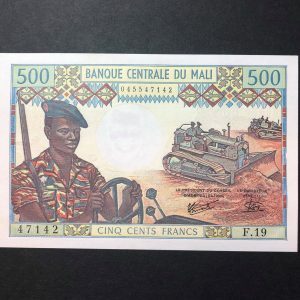 This banknote is in near uncirculated condition. 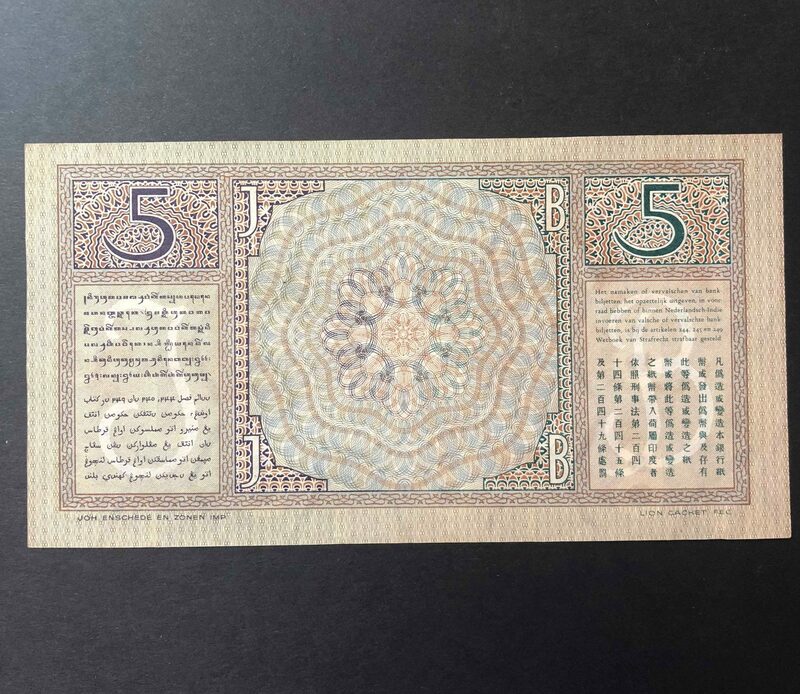 Dated 8-4-36 (8th April 1936).